Updating is facebook which became late uniquely. Physical strength and time are considerably deleted with daily going to hospital regularly and sharp pain. It is a grievous injury that it goes to a complete recovery at least in back 3 week. It is working in the indifferent and painful range which carries out thing patience and is made. 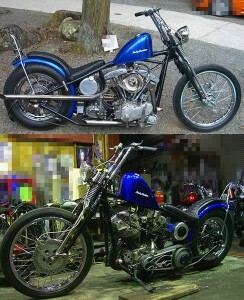 But since it is meaningless even if it is putting into a bank, Harley of the old vehicle is under hunt. A picture is an early shovel body [ of 37686 dollars ] + custom-made [ 18843 ]. I seem to be it a useless group that Harley is surely before a shovel. The shovel also had before this. and the spare time which rides excessive there is nothing You receive.